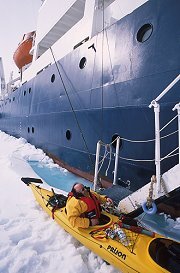 Joining our mailing list will enable us to keep you abreast of all the latest news about Glenn and his forthcoming expeditions. You will be emailed regular bulletins in the run-up and during expeditions as well as notifications of any website updates. Your email details will be used solely for the purpose of sending you news about Glenn and will not be passed to any other parties. You can remove yourself from the list either by using this page to by clicking on a link sent with each email.